Description: Hulton, 1951. Softcover, Illustrated by: Searle, Ronald. Near Fine Condition. Nr Fine 1951 issue, features Osbert Sitwell, William Cobbett, Patrick Campbell illustrated by Ronald Searle, long story by Bill Naughton, Robert and Corinne King, Raymond Postgate et al. Many further photos and illustrations, a terrific resource. 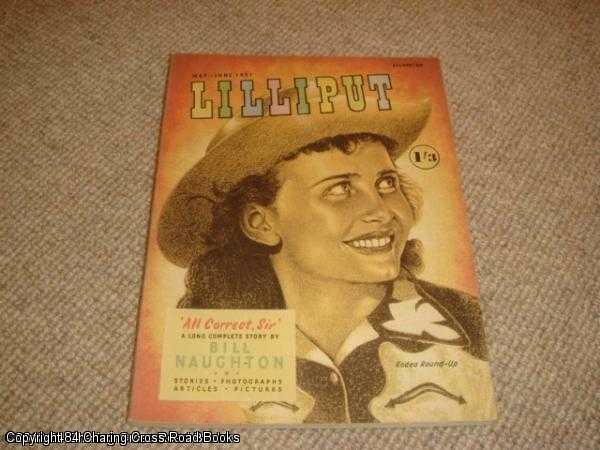 Minor rub to spine and rust to staples else fine and beautifully preserved, many more issues of Lilliput available. Immediate dispatch worldwide Illustrator: Searle, Ronald. Quantity Available: 1. Pictures of this item not already displayed here available upon request.